Christiaan Frederik and Everdina Kamphuis Weenig are pleased to announce the marriage of their daughter Elsebina Maria Catharina Weenig to Gerrit van Leeuwen, son of the late Hendrik and late Maria Elizabeth Catharina de Kok van Leeuwen. Gerrit and Elsebina were married 22 August 1849 in Leiden, Zuid-Holland, Netherlands. We really do not know a whole lot about this couple. The only reason I am really writing this entry is not because we have a history, but because we do have photos of these two individuals! I will give what little we know and make the photos available. Gerrit likely met his future wife Elsebina through her brother Christiaan Frederik Everdinus Weenig. Gerrit van Leeuwen and Christiaan Frederik Everdinus Weenig were the same age and had gone into business together as early as 1846 building and selling organs and pianos. Elsebina’s father Christiaan Frederik Weenig was the organist at the Waalse Kerk in Leiden. Gerrit was a organ builder by trade. He traveled building and installing large pipe organs in churches and cathedrals in Netherlands and other locations throughout Europe. Apparently he also played the piano, organ, and accordion. We really know nothing of their lives, personalities, or characteristics. Gerrit van Leeuwen was born the 6th of 8 children to Hendrik van Leeuwen and Maria Elizabeth Catharina de Kok on 12 April 1823 in Leiden. Here is the only picture I am aware that exists of him. He is obviously quite a bit older and I have no clue what book he is holding, perhaps the Bible? 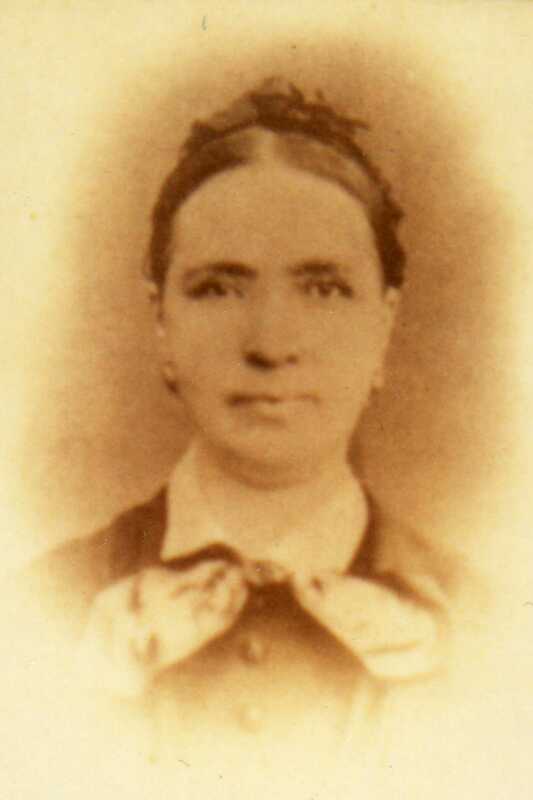 Elsebina Maria Catharina Weenig was born 4th of 5 children to Christiaan Frederik Weenig and Everdina Kamphuis on 15 November 1826 in Leiden. Elsebina was a seamstress. While living in Leiden in the early years of her marriage she designed, manufactured, and sold hats. Of interest, Elsebina was the granddaughter of Jacobus Kamphuis, an acclaimed silversmith in Leiden. Here is a link to some of his pieces that have sold on Christie’s. Bisquit Boxes, Spoons and Forks, Salt Cellars, Bisquit Box, and Fish Slice. The family cannot have been hurting too bad for cash with a profession like that. At any rate, here is the only photo we have of Elsebina. Gerrit and Elsebina would have 9 children born to them. Two would die as children and we have records of 6 of those marrying. Maria Everdina van Leeuwen was born 14 July 1850 in Leiden and died 23 May 1919 in Arnhem, Gelderland, Netherlands. She married Hendrik Jansen 19 February 1873 in Arnhem. Christina Elsebina van Leeuwen was born 31 May 1852 in Leiden and died 4 January 1914 probably in Rosario, Santa Fe, Argentina. She married Frans Homkes 22 August 1874 in Oldenzaal, Overijssel, Netherlands. Elsebina Jacoba van Leeuwen was born 21 April 1854 in Utrecht, Utrecht, Netherlands and died 17 November 1933 in Arnhem. She married Dirk Potharst 24 July 1878 in Arnhem. Gerhardus Hendrik van Leeuwen was born 16 October 1856 in Oldenzaal and died 5 January 1932 in Provo, Utah, Utah. He married Hermina Janzen 31 March 1880 in Arnhem. I have written of their family at this link: Van Leewen – Janzen Wedding. Hendrik Christiaan van Leeuwen was born 1 December 1859 in Oldenzaal and died 4 May 1904 in Arnhem. We do not have a record of a marriage for him. He served in the military and appears to have died unmarried. Everdina van Leeuwen was born 15 May 1862 in Oldenzaal and died 16 February 1863 in Oldenzaal. Everdina Johanna van Leeuwen was born 27 October 1864 in Oldenzaal. We do not have a death date or marriage for her. Apparently she married Jan Hendrik Stros from her father’s probate probate record. We have more research to do. Johanna van Leeuwen was born 1 September 1867 in Oldenzaal and died 24 February 1963 in Long Beach, Los Angeles, California. She was buried 27th February 1963 in Inglewood, Los Angeles, California. She married Pieter Willem te Groen 5 March 1890 in Arnhem. This family lived in Pretoria, Gauteng, South Africa and then moved to Annapolis, Anne Arundel, Maryland, before eventually moving to California. The last child, a boy, was not named as far as we can tell. He was born 1 October 1870 in Oldenzaal and died the same day. Elsebina died 22 March 1884 in Arnhem. 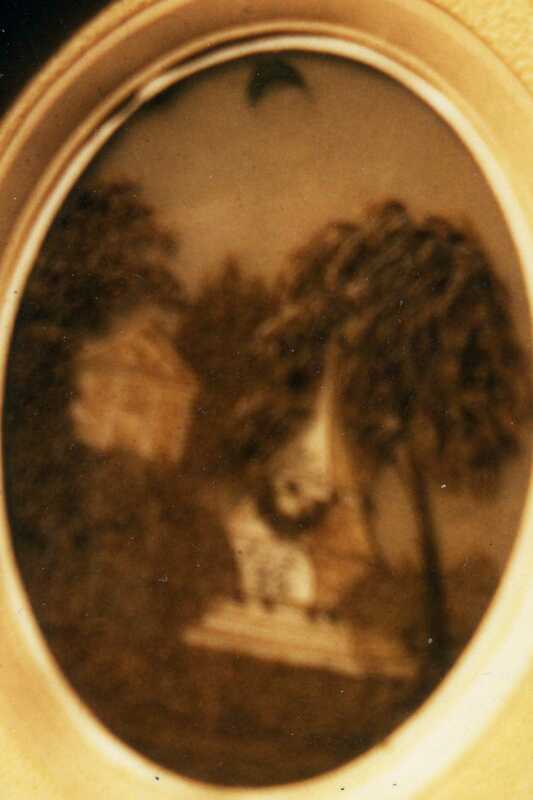 Someone in the family made a ‘hair art’ portrait of her tombstone wherever it is/was located. Here is a photograph taken in 1960’s of the portrait (I am hoping to get an updated photograph of it from its present owner). The family must not have been hurting too badly to be able to afford a tombstone such as the one in the picture. 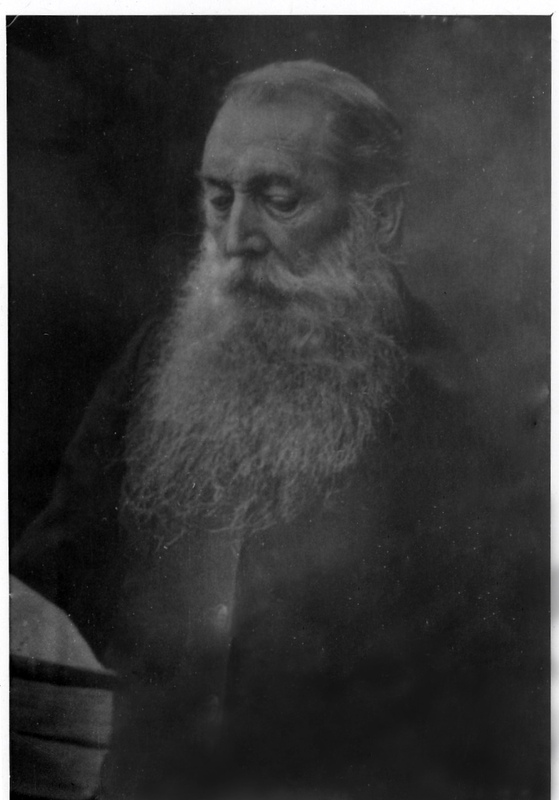 Gerrit passed away 19 February 1906 in Arnhem. Unfortunately, the story ends there. Maybe someday we will know more about this family or some of the other Weenig, Kamphuis, or Van Leeuwen cousins. This entry was tagged Annapolis, Arnhem, California, De Kok, Homkes, Inglewood, Jansen, Janzen, Kamphuis, Leiden, Long Beach, Maryland, Netherlands, Oldenzaal, Potharst, Pretoria, South Africa, Stros, To Groen, Weenig. Bookmark the permalink. I have the ancestors till Joris Mourings van Leeuwen, born in Feb 1645 inLeiden, Zuid-HOlland, Nederland.. if you are interested.. let me know and i will send you the Generations. Fascinating. I have your Joris Mourings van Leeuwen in my family history. He is the brother to my Jeremias van Leeuwen. I will drop you an e-mail to compare notes. My father is Jacobus Kamphuis and his father was Jacobus Kamphuis. Do you know if you tie into our line of Kamphuis?